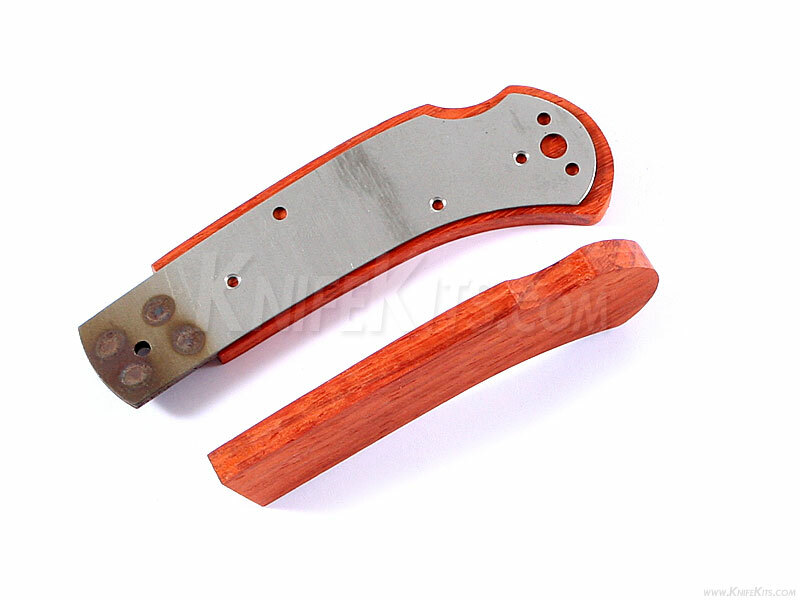 These are pre-machined Padauk handle scales for our Sheriff Lockback knife kit. Pre-machined handle scales will greatly simplify the process of roughing-in the complex handle shape for this design. 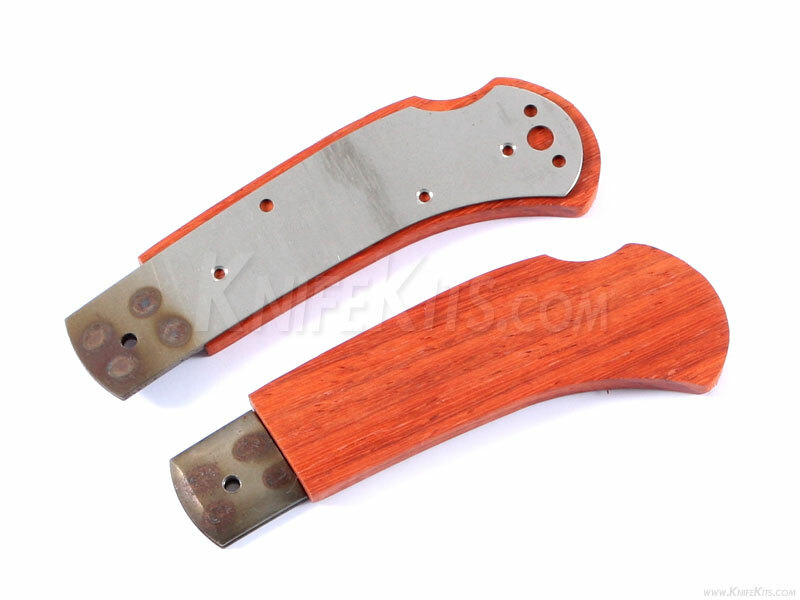 Padauk is a very popular wood amongst woodworkers due to its unique coloration and durability. Coloration can vary from a pale orange to a deep brownish red and can darken over time or with exposure to UV light. It’s easily worked and finishes, glues and turns very well. Choose Padauk for your next project to make something truly unique. Our pre-machined knife handle scales are slightly thicker and larger in diameter than the handle liners they are designed for. This allows for proper sanding, shaping and artistic embelishment. They are also undrilled to allow the builder precise placement control and to maximize fastening options. You can use standard pins, mosaic pins or a number of handle fastners. The choice is up to you. If you do not have a scroll saw to use for creating the required handle shape, or you just want to begin from an easier starting point, using these pre-machined scales will help you insure that your kit completion will be smooth and successful.